South African Tourism (herein after SAT) has developed this Website as an electronic business platform which allows SAT and Third Party Publishers to publish information about South Africa and their products and in doing so make information on South Africa in general and travel to South Africa available to interested parties. These terms and conditions (Ts and Cs) set out the rules of use of this Website and create a contract between You and SAT. Please read these terms and conditions carefully and if You decide to continue use of the website, You will indicate by Your use that You agree to the rules set out below (refer to Section A, paragraph 4 to familiarise Yourself with the term ‘use’ and paragraph 6 sets out how this contract comes about). We have written these terms and conditions in as plain language as possible without losing any of the important information but if there is anything unclear or if there is something You do not understand, we strongly recommend that You contact SAT at the email address provided below and SAT will explain. If You do not agree to the terms and conditions that govern this agreement, You must not continue with the use this Website further. any person who uses, accesses, refers to – via hyperlink or otherwise – or views any part of this website. The terms and conditions set out below must be read together with any other document made available on any of our partner or social media sites that would form part of these Ts and Cs and are referred to as (“Terms and Conditions” or “Ts and Cs”). 4 What does “Use” of this Website mean? These Ts and Cs regulate Your use, access, reference or viewership (hereafter individually or collectively referred to as “Use”) of this Website (“the Website Content”), whether the Website Content is provided by or belongs to SAT, Third Party Publishers or any other party. 5 What qualifies as Website Content? 6.1.3 SAT may change these Ts and Cs or add additional Ts and Cs as they relate to Use (as defined in paragraph 6.4 below) of products, facilities or functionality which is made available by SAT or any other user or party (“Additional Ts and Cs”) and, because changes can be made, You will reread these Ts and Cs every time You use this Website. 6.2.2 You will immediately delete all copies of the Website Content in Your possession or under Your control, including but not limited to, any Website Content which has been copied or cached by You. 6.3 You are allowed to print a copy of these Ts and Cs and if You have any difficulty printing these Ts and Cs or need a hard copy or electronic copy of these Ts and Cs or the additional Ts and Cs, please contact SAT at the email address provided above. 6.4.2 subject to these Ts and Cs and any additional Ts and Cs, this Website and the Website Content may only be used by You for the purposes set out in paragraph 6.4 of these Ts and Cs and for lawful personal and non-commercial use. “Copyright South African Tourism All rights reserved”. 6.6 Intended use does not include the source code of this Website or of the source code of any software or computer program that forms part of the Website Content. 6.7.5 include the date on which the content was sourced from SAT’s website. 7 What are You not allowed to do in relation to this Website or the Website Content hosted here without prior written consent from SAT? 7.1.7 if SAT doesn’t sponsor or support You in any way, and has told you this in writing, You may not, or allow any Third Party to name or make any reference to SAT, this Website or the Website Content, whether it’s with a link or in any other way, where the reference could in any way be interpreted as a sponsorship, endorsement, affiliation, or recommendation by SAT in relation to You or a Third Party, or of Your services, products, opinions or conduct or those of a Third Party. 7.2.4 bulk email, whether solicited or unsolicited. 7.3 You must not interfere with or jeopardise the functionality or the operation of any part of this Website or attempt to interfere with or jeodarpise, disrupt, disable, harm or otherwise interfere in any way with the functionality or operation of any part of this website. 7.4 You are strictly banned from Using this Website for “spoofing”, “hacking”, “flaming”, “cracking”, “phishing”, or spamming or any other activity designed or aimed at achieving purposes similar or the same as any of the acts mentioned above. 7.5 You may not intercept any information transmitted to or from SAT or this Website which is not intended by SAT to be received by You. 7.6.6 create a database by downloading and storing all or any Website Content. (paragraphs 7.1 to 7.6 will hereafter collectively be referred to as “Banned Use”). 7.7 These Ts and Cs and any restrictions on the use of this Website or Website Content will also apply to any part of this Website or Website Content which is cached when using this Website or Website Content. 7.8 To see what You can and cannot do in terms of blog posts, opinion polls or social media content, please refer to paragraph 18 below. If there is anything that You do not understand, please contact SAT and we will be happy to take you through these Ts and Cs. 8 How do You request permission to use Website Content? 8.4 SAT has the right to take back any consent granted without notice if You don’t keep to the conditions that SAT made when SAT granted You the right to Use any content. 9.1 Use of this Website and the Website Content is entirely at Your own risk. 9.2 Subject to the provisions of the Electronic Communications and Transactions Act 2002 (Act No. 25 of 2002) (“the ECT Act”), the Consumer Protection Act 2008, (Act No. 68 of 2008) (“the CPA”) and to the fullest extent allowed by law, SAT will not have any liability in any form in relation to this Website and the Website Content and Your use of this Website or Website Content. 9.3 You agree not to hold SAT responsible for any liability, loss, expense, claim, penalty or damage, whether direct, indirect, special or consequential, arising from Your Use of or reliance on this Website or the Website Content, or any actions or transactions resulting therefrom, even if SAT has been advised of the possibility of such loss, liability, expense, claim, penalty or damages. 9.4 In addition to the general scope of clauses 9.1, 9.2 and 9.3 above and to the fullest extent allowed by law, SAT will not be liable for any unavailability, interruption, downtime, malfunction, or failure of this Website or the Website Content for any reason whatsoever. 9.5 To the fullest extent allowed by law, if any of the limitations or exclusions of the liability of SAT in these Ts and Cs are held by any competent court, arbitrator or authority to be invalid or unenforceable, in no event will the total cumulative liability of SAT to You exceed R 1 000 (one thousand rand). 9.6 For the purposes of this 9.3 and 9.4, any reference to SAT will be considered to also include the employees, officers, directors, representatives, agents, shareholders, affiliates, subsidiaries, holding companies, advisers, service providers including intermediaries, suppliers and content providers of SAT. 10.1 Any views or statements published on this Website are not necessarily the views of SAT, SAT’s affiliates, subsidiaries, holding companies, partners, directors, employees, officers, servants, service providers including intermediaries and/ or agents. 10.2 The Website and the Website Content is provided “as is” and is subject to change without notice. 10.3 Subject to the provisions of the ECT Act or the CPA, this Website and the Website Content is provided without any guarantee, whether express, implied or statutory including, but not limited to the operation, accuracy, completeness, integrity, compatibility, availability, functionality or reliability of the Website Content. 10.4 SAT also makes no warranty, whether express or implied, that the Website is free of viruses, destructive materials or any other data or code which is able to corrupt, compromise, jeopardise, disrupt, disable, harm or otherwise damage in any manner the operation of content of a computer system, computer network, any handset or mobile device, or Your hardware or software. 10.5 SAT does not accept any responsibility for any errors or omissions on this Website or the Website Content. 10.6 You must not rely on any warranty or representation, which allegedly encouraged You to agree to these Ts and Cs, unless the representation or warranty is recorded in these Ts and Cs. 10.7.3 You agree that You will research any products or services offered on the website, by verifying credentials with the relevant industry regulatory bodies and/or seeking other expert advice. Should You need help in this regard, please contact SAT at the email address provided above. 11.1 This Website may contain references or links to other websites (“Other Websites”) and to the products, opinions or services of third parties. These references or links are not intended to be and should not be interpreted as an endorsement, recommendation, or affiliation with these other websites or the opinions, products or services of third parties. 11.2 You agree that You will research any products or services offered on Other Websites by verifying credentials with the relevant industry regulatory bodies and/or seeking other expert advice. Should You need help in this regard, please contact SAT at the email address provided above. 11.3 Notwithstanding paragraph 11.2, Your use of Other Websites or the products or services of Other Websites will be entirely at Your own risk. 1.4 Subject to the provisions of the ECT Act and the CPA and to the fullest extent allowed by law, SAT is not responsible for any loss, liability, expense, claim, penalty or damage, whether direct, indirect, special or consequential, arising from or related to the reliance on, use or attempted use of Other Websites or the opinions, products or services of Third Parties. 12.1 The Website Content, including but not limited to, any software, icons, text, links, graphics, photographic images, sound clips, music, video clips, artworks, Literary Works, Musical Works, Artistic Works, Sound Recordings, Cinematographic Films, Program-Carrying Signals, Published Editions, Computer Programs, sound and television broadcasts, trade names, logos, trade marks and service marks (collectively “Intellectual Property Content”) are protected by law, including but not limited to copyright, patent, and trademark law, and are the property of SAT and/or Third Party contributors. 12.2 Any unauthorised use as defined in paragraph 7 of the Website Content is banned. 12.3 You will not acquire any right, title or interest in or to this Website or the Website Content other than those rights expressly granted to You in these Ts and Cs and Your rights of use are subject to these Terms and Conditions. 12.4 Where any of the Website Content has been licensed to the Owner or belongs to any Third Party, Your rights of use will also be subject to any terms and conditions which that licensor or Third Party imposes from time to time and You agree to familiarise Yourself with such Third Party terms and conditions which will be provided to You upon request to the email address provided above. 13.1.2 areas of the Website. 13.2.1.6 that SAT rejects for any other reason in SAT’s sole discretion. 13.3.5 any liability arising from Your failure to comply with paragraph 13.3 of these Ts and Cs will fall to You alone and SAT will not be liable for any loss or damage arising from Your failure to comply with any of the obligations mentioned above. 14.1 By using this Website, You agree that these Ts and Cs create a binding contract between SAT and You, even though these Ts and Cs are wholly or partly in the form of a data message. 14.2.7 this contract will be interpreted and implemented in accordance with the laws of the Republic of South Africa and You agree to the jurisdiction of the courts of the Republic of South Africa. 16.1.1.2 18 years or older. If You are under the age of 18, You must get Your parents’ written permission to enter. 16.1.4.3 except insofar as provided by the CPA, no person will have a claim against SAT due to changes made as set out above. 16.1.8 By consenting to this Ts and Cs, You indemnify SAT, its employees, advertising and promotional agencies, intermediaries, endorsed and/or affiliated publications as well as its directors, officers, employees and agents, against any claims for loss or damages, whether direct, indirect, consequential or otherwise, arising from any cause whatsoever in connection with Your participation in any of the Competitions, with due regard to the provisions of the CPA. 17.1 Blog posts, opinion polls and social media sites, including but not limited to Twitter, Facebook, Flickr and YouTube, may be made available on this Website from time to time whether as Website Content or SAT may link to content on another Website or in any other manner. 17.2.4 agree that You may use the blog posts, opinion polls or social media posts only for personal, non-business related purposes and that You will not replicate content without indicating SAT as the owner and source of content. 17.3.4 any content that may, in the opinion of SAT, be seen as (without limitation) solicitation or requests for funds or advertising of goods or services without written permission. 17.4 You understand and agree that SAT will be entitled, in its own opinion alone, to ban You from posting any comment on the blog posts, opinion polls or social media sites managed by SAT or an intermediary. You agree that Your communications, whether posts or otherwise, on this Website may be intercepted, as defined in the Regulation of Interception of Communications Act 70 of 2002 (as amended), by SAT or any other competent authority. 19.3.2 3 days after a confirmed successful transmission, if sent to SAT’s fax number. 19.4.2.2 this right will continue to apply after the Ts and Cs are no longer in use (terminated), cancelled or amended. 19.4.4 Nothing in these Ts and Cs will interfere with either Your or SAT’s right to seek interim relief on an urgent basis from a court with jurisdiction pending the institution or resolution of a dispute or claim or any legal proceedings. Any costs, including legal costs on attorney and own client scale (this is the fee agreed to between SAT and its attorneys as opposed what is determined by the rules of court) and value-added tax (VAT), incurred by SAT due to Your Use of this Website or the Website Content, or should You do anything that is Banned in these T’s and C’s, will be paid by You. 19.6.2 SAT does have the right to pass on, cede assign or transfer any of SAT’s rights and obligations in these Ts and Cs without first receiving written permission from You and without notice to You. 19.7.1 All headings in these Ts and Cs are for convenience only and will not be taken into consideration in the interpretation or constructions of these Ts and Cs. 19.7.2 In any case that SAT in these Ts and Cs refers to the singular, it includes the plural of this word and the other way around. 19.7.5 If it is found that any of the clauses in these Ts and Cs are found to be invalid, unlawful or unenforceable, such terms will taken out of the Ts and Cs and the those Ts and Cs that are left will still be valid and enforceable. 19.7.6 Any reference to “writing” or notices “in writing” by SAT in these Ts and Cs only includes writing on paper signed in ink by an authorized representative of SAT and specifically excludes that any writing may be in electronic form. 19.7.7 If SAT makes exceptions, relaxes any condition or makes any indulgences, it will not have the effect of changing or amending any of these Ts and Cs or in law. 19.7.8 If there is a conflict, difference or contradiction between these Ts and Cs and any Additional Ts and Cs, the Additional Ts and Cs will be viewed as correct. 19.7.9 The termination of the contract created by these Ts and Cs will be without prejudice (i.e. will not have a harmful effect) to any other rights or remedies that You or SAT may have under this contract or in law, and will not affect accrued rights (i.e. right that You have from the past) or liabilities of You or SAT nor the coming into or continuance in force of any provision of these Ts and Cs which is expressly or by implication intended to come into or continue in force on or after such a termination. The parties to these Ts and Cs agree that all interactions and transactions between the parties will be governed by South African law and, subject to the 'Disputes' clause of these Ts and Cs, You and SAT submit to the jurisdiction of the South African courts. This policy is applicable to all users who make use of the South African Tourism websites. To assure all users of the South African Tourism Websites (SATWs) of the protection of personal data that they provide to SAT. Definitions in Section A above apply. Contact information for stakeholders seeking information is collected in order for us to contact that person to provide information about our services. This information may be stored on our servers in South Africa. Such information is usually deleted as space requires or in the normal course of business, but can be amended or deleted upon request. To review, amend, or delete user information, contact travel@southafrica.net. Users are required to provide their name, contact information and the approximate dates they visited the websites and/or emailed the relevant support mailbox. Contact information, such as user name, address, telephone number, or email address, for consumers, investors or customers with questions, concerns, complaints, inquires, requests for information or technical support questions, is used to respond to the request for information. This information may be stored on our servers in South Africa. Such information is usually deleted as space requires or in the normal course of business, but can be amended or deleted upon request. To review, amend, or delete user information, contacttravel@southafrica.net. Users are required to provide their name, contact information and the approximate dates they visited the websites and/or emailed the relevant support mailbox. When signing up for an email newsletter or alert at the websites, South African Tourism will use that address to deliver the email newsletter that has been requested. To review or delete user information or to opt-out of any newsletter, contacttravel@southafrica.net. South African Tourism may provide user’s information to their agents, or their agents may collect information from users on their behalf if South African Tourism has contracted with a third party to provide some part of the information or service that the user has requested. By written agreement, these agents are required to implement similar security measures and will process user information only as authorized by SAT to fulfil the service that they have been contracted to provide. Other than agents who act on South African Tourism behalf, information provided by users at this site will not be transferred to unrelated third parties, unless South African Tourism has user’s permission to do so. Personal information provided to this site is subject to disclosure pursuant to judicial or other government subpoenas, warrants or orders. 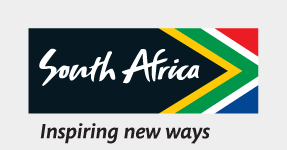 SATW South African Tourism Websites including all consumer and trade-related websites. All complaints to be sent in writing (snail mail or email) to the owner in clause 1.2, to be addresses by the relevant department in question.